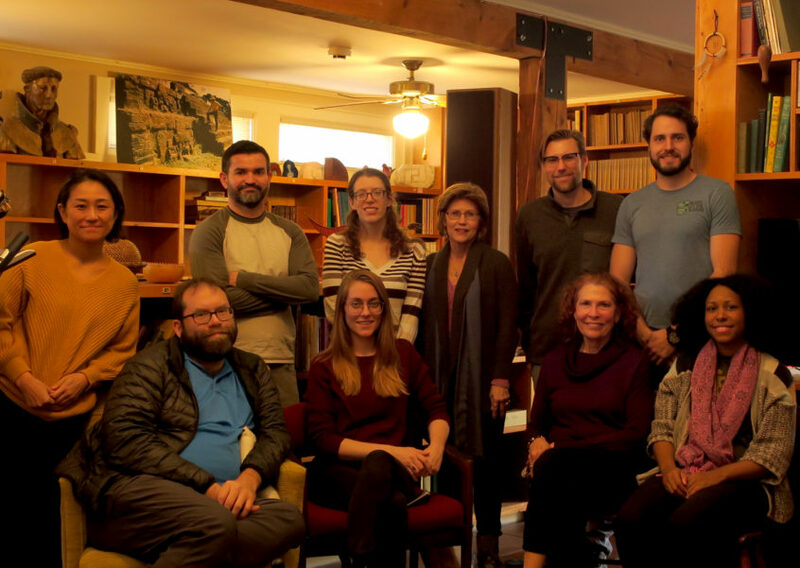 The BEC hosted a retreat for the Mayanists of North Carolina over the first weekend of February. This fun event grouped several scholars (in alphabetical order): Dylan Clark, Rachel Horowitz, Mary Kate Kelly, Maxime Lamoureux-St-Hilaire, Patricia McAnany, David Mora-Morin, Dorie Reents-Budet, Yuko Shiratori, Kaili Sullivan, and Brent Woodfill. These scholars came from distinct institutions in NC and SC, including UNC-Chapel Hill, UNC-Asheville, Appalachian State University, Winthrop University, and the NC Art Museum. This gathering of a large portion of the NC Mayanist community allowed the group to address all things Maya, familiarize with the BEC resources, discuss ways to contribute to BEC in the future, and relax. The retreat was also marked by a generous book and document donation by Dorie Reents-Budet.